This was meetup on April, 1-st, which gathered fans of Elasticsearch and those who are just started their career at Kubernetes. Traditionally, it was hosted at Google Campus at TLV in the evening. The auditory was rather small as a lot of participants came to join the session held by Itamar Syn-Hershko. Anyway, fliendly and professional atmosphere made this evening bright and cozy. For the time being, Elasticsearch, is the real-time analytics platform and leading search engine which may easily accommodate amazing amounts of data and scale to hundreds of nodes at the same time it remains preserving sub-second query latency. Let’s imagine, what is the great deal to run it on the top of Kubernetes, which leads the world of containers! All these things we know in our Backend team which is working with big amounts of data on daily basis. The topic was well-known to us, but the most important thing was in networking – as a lot of young and passionate developers were brought on the same place to learn how to deploy a production-grade Elasticsearch on Kubernetes while adhering to best-practices of both technologies, keeping your data safe and your availability high. 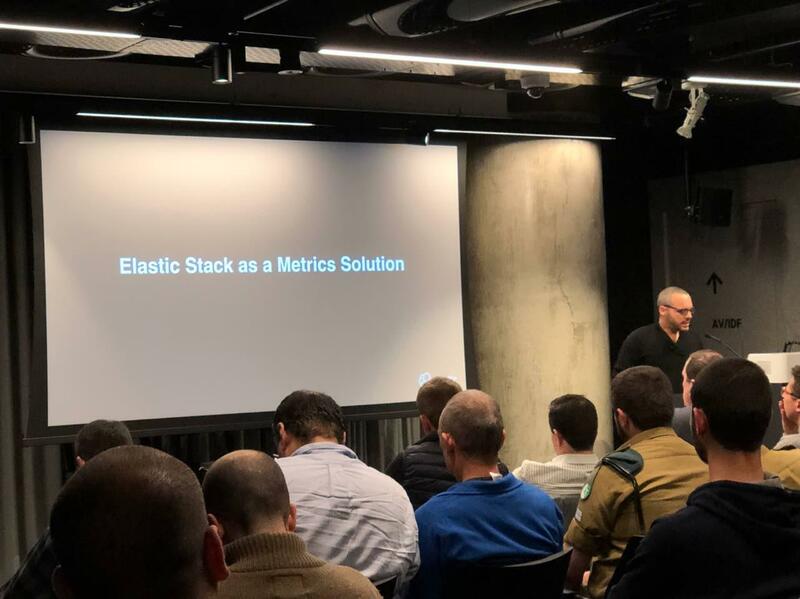 The separate interest was in auto-scaling and scaling discussion of Elasticsearch and the components of Elastic Stack when running on Kubernetes. Elasticsearch is the engine for search which has the Lucene library on the background. As it is stated in Wikipedia, both engine and library may provide a multitenant, distributed, full-text engine for the search with the schema-free JSON and an HTTP web interface. The language of Elasticsearch is Java. This is the business model with open-source solution, but the parts of the software has licence – mostly the Apache License, and others are under Elastic License which is source available and commercial. Nowadays, Elasticsearch still remains the most popular enterprise search engine (Wikipedia).